Mr. Jesrani has closed this law practice and now works for the Shasta County District Attorney's Office. Court procedures, the rules of evidence, and legal requirements can be a proverbial minefield for the untrained person. When faced with a legal issues, you are at a distinct disadvantage without legal representation. At our firm you will receive the level of experience, service, and proficiency one would expect to find in a large firm, but without paying large-firm rates. Mr. Jesrani knows the law well and uses that extensive knowledge to provide effective representation for businesses and individuals. He is also comfortable in the courtroom and, when it is appropriate, is not afraid of going to trial to protect his clients’ rights. He is handled tough cases and continues to handle situations for his clients that are difficult, frustrating, and filled with emotion. You don't have to face your legal issues alone -- Contact us today for a free consultation and we will determine the best solution for you. Anand “Lucky” Jesrani was raised right here in the North State in Red Bluff, CA where he attended school in the Antelope School District and Red Bluff High School. He received his higher education from the University of California, Davis and his Juris Doctor from the University of Pacific, McGeorge School of Law. After passing the California Bar Exam on his first attempt, Mr. Jesrani returned to the area and began working for law firms in Redding and Chico. After gaining valuable experience from larger firms, Mr. Jesrani acted on a life-long goal of starting his own law practice. 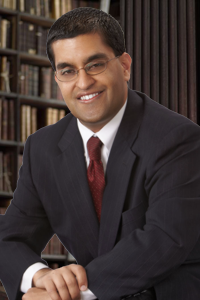 Because of his strong connection to the community through his association in civic organizations, Mr. Jesrani chose to establish the Law Office of Anand “Lucky” Jesrani in Redding, California. Mr. Jesrani brings to his practice the level of experience, service, and proficiency one would expect to find in a large firm, but without paying large-firm rates. Mr. Jesrani is very active in philanthropy and service to the Redding community. He spends much of his free time volunteering with the Active 20-30 Club, a service organization for young professionals, dedicated to serving underprivileged children in Redding. He also enjoys the outdoors and on any given weekend he can be found at Shasta Lake, local trails, or the golf course.